Braxton County was formed in 1836 and named after Carter Braxton, a signer of the Declaration of Independence. The first court was held in the home of John D. Sutton. West Virginia was formed out of the conflict of the Civil War. Felix Sutton represented the county in the restored government of Virginia, in Wheeling until the state was created. 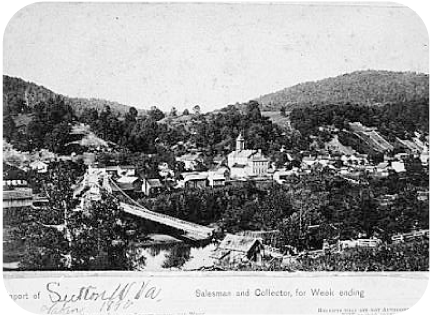 Due to its location along a major north south turnpike through the center of West(ern) Virginia at the outbreak of the Civil War, Sutton was embroiled in the conflict. On September 5, 1861 the town was occupied by 5,000 troops. Later in 1861, General Rosencrans bivouacked 10,000 troops there, including future President William McKinley. On December 29, 1861 Confederate soldiers burned most of the downtown, leaving only six structures intact. Sutton slowly rebuilt from the Civil War, but remained a small county seat until the timber industry in the region developed and Sutton became a commercial center. Many of the banks, hotels, shops and other historic buildings in Sutton date from this 1890 to 1920 time period. After this, Sutton once again slowed its development in step with the overall economy of the nation during the great depression. See page 8 for the Landmark Studio. The Sutton City Hall building is featured on page 20. 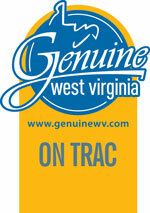 The Town of Sutton is a member of the West Virginia ON TRAC (Organization, Training, Revitalization and Capacity) program. The program was created by Main Street West Virginia and endorsed by Governor Joe Manchin to assist West Virginia communities in their efforts to boost economic and community growth. The goals of the program are to evaluate, educate and assist communities in these efforts and to prepare them for more advanced technical services through the Main Street program.